Do you have a Mortgage you feel could benefit from being reviewed? Whether it’s a commercial or residential mortgage, borrowers should be seeking the best offers possible, before committing to a mortgage. With so many different options available to you, it can be difficult to know where to start. With questions like ‘How do I work out the loan I can afford?’ Stick or Twist – Is it worth ditching your fixed rate loan for something cheaper? Take advantage of our knowledge and research by telling us your requirements and letting us search for a commercial or residential mortgage that fits the majority, if not all, of your needs. One question we are asked frequently, at the moment, is: ‘Which is better a Fixed rate or a Tracker?’ Likewise we have many clients currently sitting on their lender’s Standard Variable Rate and unsure whether to remain there or look to take a fixed rate. A fixed rate loan will enable you to budget each month as you will know for a set period exactly how much money will be coming out of your account, regardless of what happens to interest rates. The value in a fixed rate, may be a longer term fixed rate as rates are more likely to increase in years 2 and 3 and beyond. Any rises may not be massive, perhaps 0.5% each time. A fixed rate will of course give you peace of mind against these rises. A Tracker or Variable rate looks attractive now, but if rates start to move, this will of course increase the rate and amount you pay each month, as they are linked to the Bank of England Base Rate. So whilst looking good value at present, it could mean that your payments would rise, with any rate increase and could prove expensive longer term. Lenders reserve the right to increase their Standard Variable Rate (SVR) at anytime. 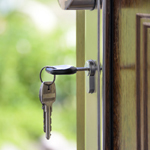 When considering a mortgage, we can help you with the many aspects to think about i.e. Term, Early Repayment Charges, Repayment type etc. and produce figures and illustrations, to allow you to make an informed decision. There are also some very attractive Remortgage deals available, particularly if you have a large amount of equity in your property. 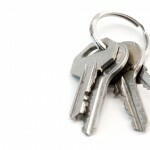 Our independent Mortgage Advisers have access to mortgage products that suit a wide variety of financial situations and personal circumstances – we cover Purchases, Re-mortgages, Buy to Let mortgages, Let to Buys, Commercial mortgages, First Time Buyers, Further Advances, Debt Management and Guarantor mortgages. The Financial Services Authority does not regulate some forms of Buy to Lets, Commercial Mortgages or Loans and Tax advice. We try to keep everything under one roof, so we can also arrange adequate safeguards to ensure your mortgage can be re-paid in the unexpected event of financial hardship or sickness for example. Click here to find out more about our Life Insurance advice. And give you all the necessary information and details of schemes that fit your circumstances. To understand the features and risks, we will provide a personalised illustration and check that the mortgage will meet your needs if you want to move or sell your home or you want your family to inherit it. If you believe this is an area of which you would like more information or wish to discuss your situation, please do not hesitate to contact us.